The edit window now correctly repositions a location if the coordinates are changed. Due to an error with the print server, exporting to .pdf has been temporarily suspended. We fixed an error where some features which are considered a “settlement” along with other types were not being displayed correctly. The security patch was applied and the server restarted. The application should be working as normal. Due to a server security update, the application is temporarily down. It should be up shortly. Ok, we restarted everything and it should be ready to go! We fixed an error where the print box would not always adjust to user input. In addition, modern layers are now turned off by default, which should help with the application’s loading time. We fixed an error where searching by area did not return full feature information. The search should now be working as intended. 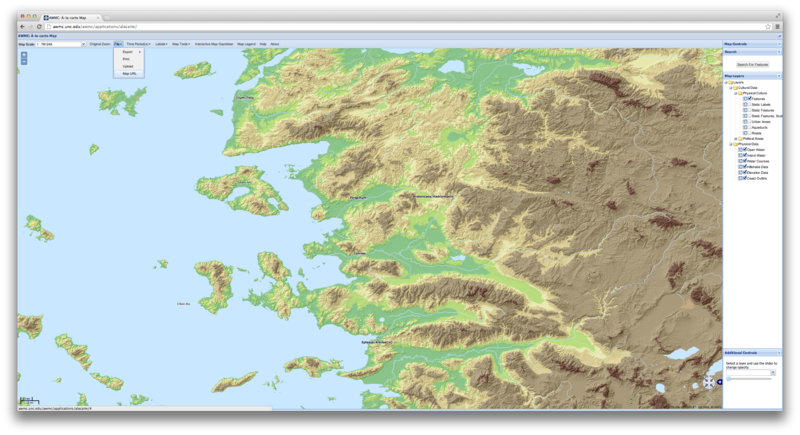 We have one additional feature that makes linking to our maps even easier. 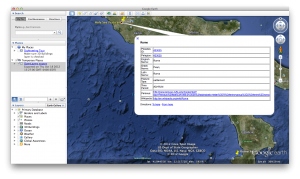 Under the File menu in the map panel you will find a new option: Map URL. In the next few posts I will discuss various aspects of our upgraded application and new features which we hope the larger ancient community may find useful. We are upgrading our database software, so the application may be down temporarily. We have finished porting our map to the new server. The application should be working as normal. 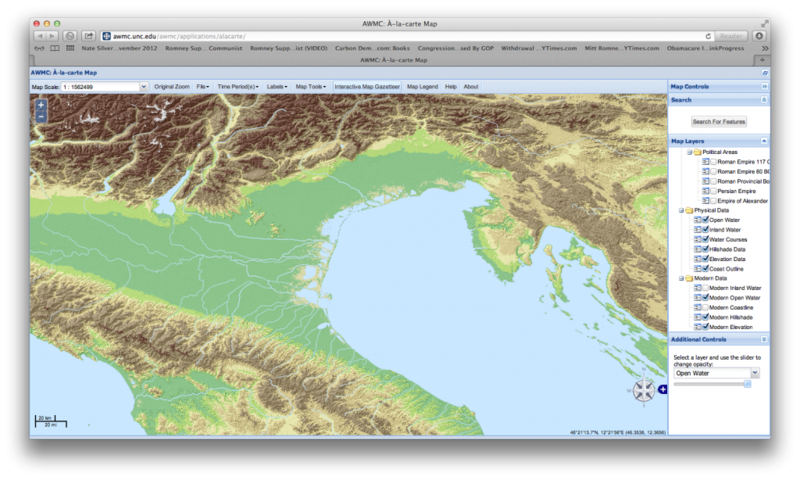 We cleaned up our open water layer and ensured that it correctly matches the ancient coastlines. You can see the changes in the application or you can download the .shp files here.